take the time to prepare their home to be competitive in the real estate market by increasing curb appeal, and taking on minor repairs and improvements, both of which can potentially increase the value of their home. It is a common practice for potential buyers to drive by a home before scheduling a showing. This means that your home’s first impression can be the determining factor in whether or not your would-be buyers will ever make it through your front door to see all that your home has to offer. Decluttering is not just for folks who have junk cars littering their lawn or a spare washer and dryer sitting on the front porch. Just like one man’s trash is another man’s treasure, one man’s treasure is another man’s trash. Too many potted plants, an abundance of playground equipment or the collection of wind chimes that you find charming and whimsical are likely going to work against your home’s first impression and make your porch or yard look cluttered. Part of preparing your home to go on the market is creating a space that will be inviting and welcoming to an array of potential buyers. Just like you need to de-personalize the interior of your home, you also need to increase the curb appeal of your home by de-personalizing your outside spaces as well. You want your prospective buyers to be able to see themselves living there and to imagine their plants on the porch or their fountain in the front yard. It should go without saying that potential buyers will be turned off by weeds, unruly tree branches blocking the front walk, a driveway covered in leaves, a dirty facade or a lawn that could use a good mowing. However, it is worth mentioning, because you need to take a good, objective look at the exterior of your home, particularly if you have lived there for an extended period of time. It is far too easy to get so used to ducking under a low-hanging tree branch or stepping around an overgrown bush that you might no longer even notice these things. To help you recognize what needs cleaning or trimming, drive by your home and take note of the first thing you notice. Then walk out to the street, face your home and scrutinize every square foot of your front yard. Make a to-do list of chores to accomplish to get your home’s curb appeal up to snuff, and then make a second list of ongoing tasks you will need to stay on top of while you home is on the market. This will likely include weeding, mowing, sweeping the driveway and washing the windows. 3. Consider some simple weekend home improvement projects. Could your home use a coat of paint, or does your driveway need to be repaired or resealed? 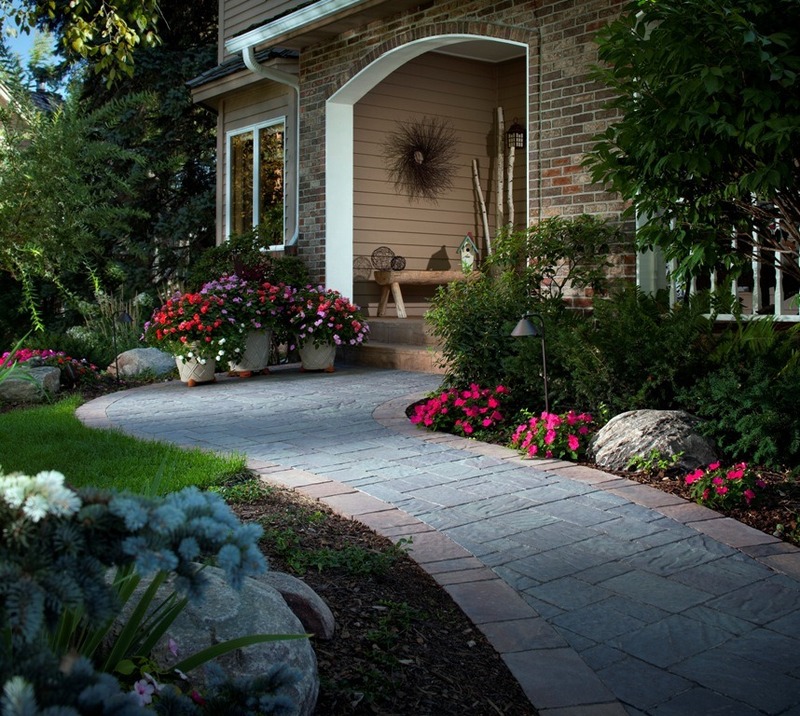 Are there missing window screens, faded awnings or cracks in your front walkway? Simple, inexpensive home improvement projects that you can accomplish in a weekend will immediately enhance your home’s exterior and increase its ability to draw in interested buyers. It is okay if you are not the handy sort; simple projects like these can be affordably outsourced to a handyman or local business. 4. Make your landscaping a selling point. A luscious green lawn can be a beautiful thing, but the labor and maintenance costs of that pretty front lawn can be a turn off for some buyers. Practical potential buyers will take one look at your perfectly manicured lawn and imagine huge water bills and wasting away their weekends with hours of mowing, weeding, fertilizing and aerating beneath the hot sun. You can make your landscaping a selling point your Realtor can use as she or he extols the features of your home by replacing your current lawn with long-lasting, durable and beautiful artificial grass. Not only will synthetic turf enhance the visual appeal of your home, it will also appeal to potential buyers as an easy-care, water-saving feature that requires no weeding, no mowing and no sprinkler system maintenance. Installing artificial grass increases curb appeal, while saving energy, water, money and labor, which will appeal to a variety of prospective buyers. These four simple tips make it easy and affordable to enhance your home’s curb appeal and potentially increase its value. Take the time to prepare your home before listing it, and you might find that it will spend less time on the market before the perfect buyer makes an offer. If your home is already listed and has been on the market longer than expected, consider these simple fixes to increase or renew interest in your home, which could lead to more showings and more offers. Have any more easy tips to add?